The beauty of wood pickets around a single-family home is difficult to imitate with another fencing solution. But the intense Texas heat has some homeowners thinking of installing cinder block walls rather than the wood fences they have come to cherish while growing up. 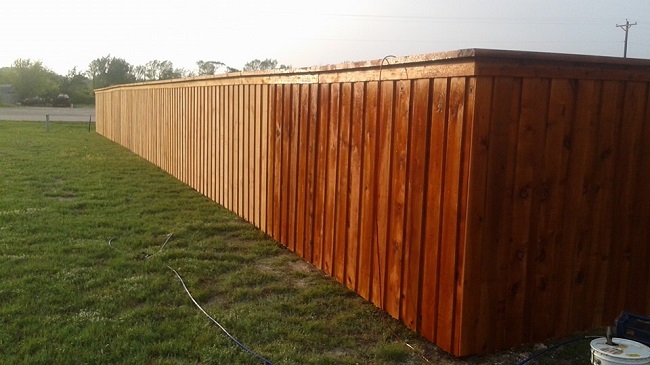 Before you capitulate and settle for something that you would not enjoy as much as the gorgeous red cedar property barriers you love, talk to our fence staining experts. 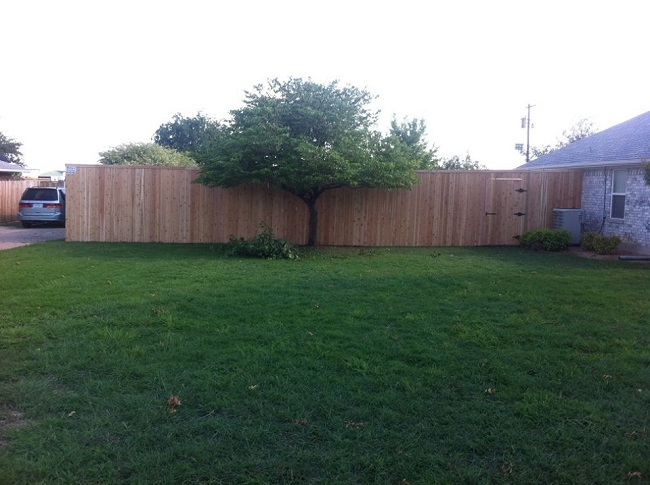 The versatility of a wood fence design is hard to imitate. Board on board construction adds a dimensional look to your landscape while the horizontal step board design is now a standard feature on many home and garden shows. It brings a level of customization to your landscape that is tough to beat. With the right wood protection in place, your fence easily lasts for about two decades. 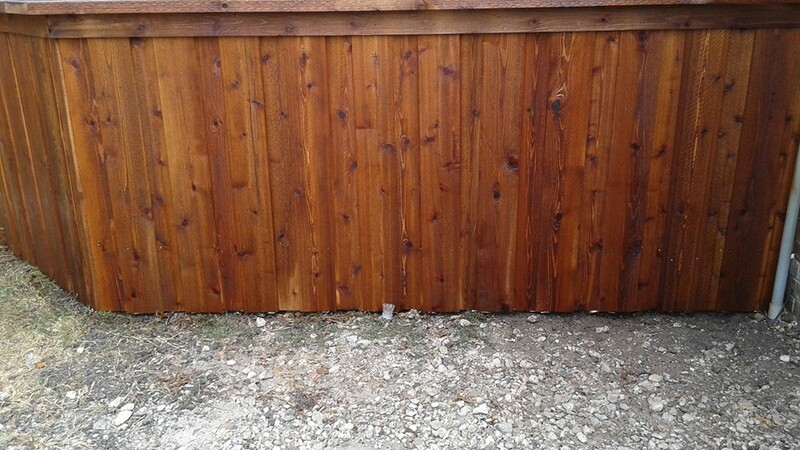 You already know that we prefer red cedar for our fence construction. It holds up well under the Texas sun and handles anything the weather throws at it with aplomb. Termites and other insects do not like cedar, which works in your favor. Next, we always recommend a stain to protect the wood. Seals water out. Although red cedar naturally does not take in an overage of water, a stain helps to reduce the intake even more. As a result, you do not have to worry about unsightly mildew. Prevents sun fading. Even the durable cedar is susceptible to sun fading. Without UV-protective stains, the deep red color slowly fades to a silvery gray. Restores good looks of already installed fences. If the barrier you had installed is already undergoing the graying process, an expertly done staining job provides the wood with the protection it needs to stand up to the elements. Select a pigmented product to return the wood to its beautiful original color. 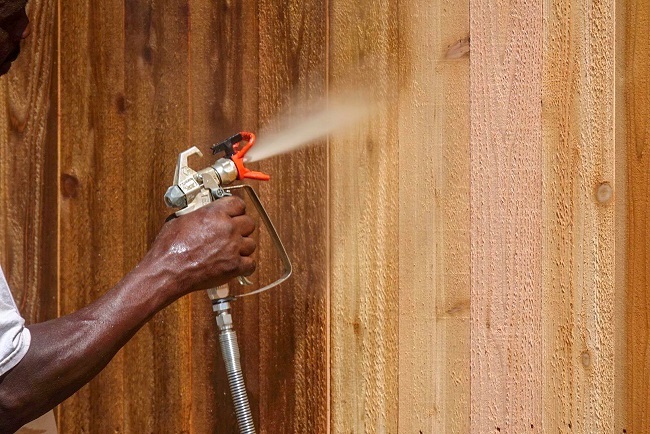 Contact our fence staining experts today to find out what we can do for your privacy barrier – before you buy something you may not need.